Dictyocaulus viviparus is a species of parasitic nematode that infects cattle. Dictyocaulus viviparus is the bovine lungworm. It is an important roundworm of cattle. Grazing cattle ingest the larvae. Once inside the intestine, the larvae penetrate the intestinal wall. They use the blood system to reach the lungs where they become adults. The adults mate, the females producing eggs that are coughed up by the cow. The eggs enter the intestinal tract, where they hatch. The larvae are shed in the cow’s faeces. So the cycle continues. What diseases does Dictyocaulus viviparus cause? 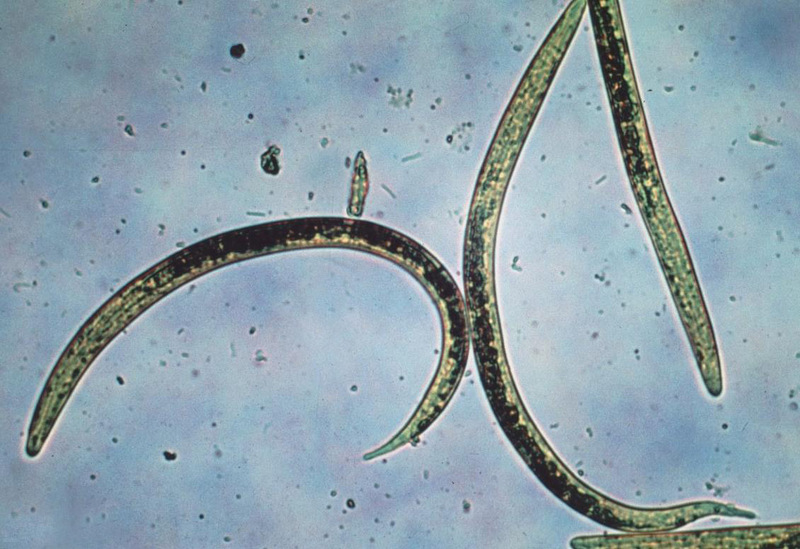 Residing in the cow’s lungs, the nematodes cause bronchitis resulting in a constant cough. The presence of the worms can cause a massive immune reaction, which can damage the cow as much as the worms. Unless treated the cow will die. What is the treatment for Dictyocaulus viviparus?